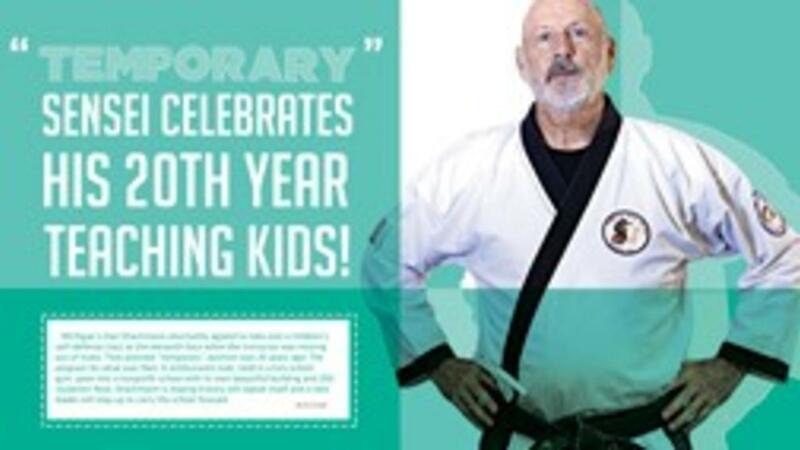 Michigan’s Dan Shackmann reluctantly agreed to take over a children’s self-defense class at the eleventh hour when the instructor was moving out of state. That planned “temporary” position was 20 years ago! The program for what was then 12 enthusiastic kids, held in a tiny school gym, grew into a nonprofit school with its own beautiful building and 200 students! Now, Shackmann is hoping history will repeat itself and a new leader will step up to carry the school forward. Dan Shackmann’s Thunder Bay Martial Arts is located in a small rural area as far north as you can get in the United States. The city of Alpena stands on the shore of Lake Huron’s Thunder Bay and is county seat of Northern Michigan’s Alpena County, home to the Thunder Bay Marine Sanctuary. Although its population of roughly 10,500 is considered small, it is by far the largest city in the sparsely populated Northeast Michigan area. “It was a chance meeting 20 years ago at a health club,” Shackmann recalls. “I got to talking with the guy working out on a machine I was waiting to use. It came out he was a black belt in karate, too, and teaching a small band of excited kids. They had just done fundraising for sparring gear. The equipment was already bought, but lightning struck. He got a once-in-a-lifetime job offer in Grand Rapids, but, to seize it, he had to leave Alpena immediately. As an instructor, Shackmann’s knowledge and love of the arts proved to be wildly infectious. The class went from 11 kids to 35 the next semester and could no longer fit into the little school gym where classes were being held. Shackmann rented a space at a local rec center and, during the next registration, 70 kids and adults signed up. Shackmann is generous in his praise of the annual Martial Arts SuperShow. “We attended the first or maybe it was the second SuperShow. Because we’re from the far North, we felt isolated martial arts-wise, despite the help of some mothering organizations like the American Judo Federation and its karate equivalent. So, we decided to go get ideas and network. Shackmann then reveals a surprising confidential secret. “I was a little annoyed at my wife at first for pitching our story to Martial Arts Success, but I was wrong,” he admits. “It’s a wonderful story. We enjoyed every hour of every class. And now we’ve come full circle.